Long Island, NY - March 22, 2019 - Governor Andrew M. Cuomo today announced $70.4 million in bridge construction projects on Long Island, including the start of construction on a $28.2 million project to replace the Walt Whitman Road Bridge over the Long Island Expressway (Interstate 495) in the town of Huntington, Suffolk County. In addition to the major bridge replacement, $42.2 million in repairs have been made on 31 bridges in Nassau and Suffolk counties. The work enhances safety on small connectors and major corridors, while ensuring continued access to the many communities, businesses and job centers located on the Island. "Safe, modern bridges are integral to supporting an efficient transportation system and laying a foundation for local, regional and statewide economic success," Governor Cuomo said. "These transformative projects will strengthen vital connections between and within communities, making travel for Long Islanders safer and more efficient for years to come." The current bridge, built in 1962, sits less than two miles from the Nassau-Suffolk border in the booming commercial center of Melville, the headquarters of numerous national and international companies, such as Canon USA, Nikon and OSI Pharmaceuticals. Presently, the Walt Whitman Road bridge features one southbound lane, one northbound lane and a northbound left-turn lane, with a sidewalk on the west side of the bridge and no shoulders. Consistent with Governor Cuomo's Drivers First initiative, the project has been designed to minimize traffic impacts. Most work will be performed behind concrete barriers and there will be no lane closures during peak commuting hours. Senator John Flanagan said, "Local roads and bridges are the lifeblood of many economies across our great state, including right here on Long Island. I commend Governor Cuomo for focusing these critical investments to roads and bridges in Nassau and Suffolk counties, and thank all those who have worked together to repair and rehabilitate Long Island's entire infrastructure. These projects will truly enhance safety for motorists and their families throughout our region, as well as curtail the need for higher costs in the future." Assemblymember Steve Stern said, "Upgrading and maintaining our bridges and roadways is critical to ensuring public safety and is a key to economic growth. The replacement of the Walt Whitman Road Bridge will help serve the Route 110 Corridor, one of the key business hubs and residential communities in the Town of Huntington and on Long Island. Thank you Governor Cuomo and the New York State Department of Transportation for including this project as part of a major infrastructure initiative." Suffolk County Executive Steve Bellone said, "At a time when we need more infrastructure funding from Washington, it is encouraging to see Governor Cuomo filling that void so that bridges are built and safely maintained. These state dollars are welcome in Suffolk County and will go a long way towards keeping our roads safe." Huntington Town Supervisor Chad Lupinacci said, "I am delighted to see the investment of Huntington residents' and businesses' tax dollars back into our local infrastructure for critical bridge repairs and improvements, such as the $28.2 million Governor Cuomo has committed to replace the Walt Whitman Road bridge over the Long Island Expressway, which will keep one of our most highly-trafficked commuter roads safe for years to come." 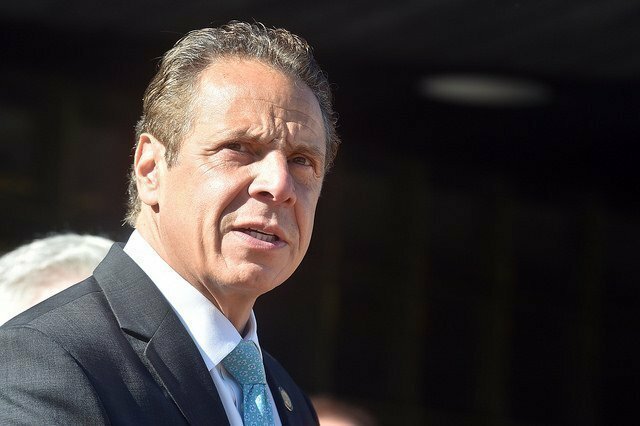 Subject: LongIsland.com - Your Name sent you Article details of "Governor Cuomo Announces Over $70 Million in Bridge Construction Projects on Long Island"